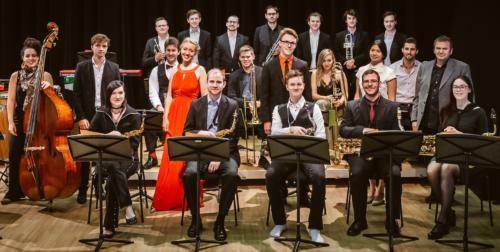 The Bruckner University Big Band will be gracing Bloem’s music lovers in concert, all in the hopes of getting your feet tapping. The band, directed by Christian Radovan, will be performing at the Odeion at the University of the Free State on 21 February 2019 at 19:30. The programme includes performances of Rodgers and Hart, arranged by Francy Boland: Johnny One Note; McCoy: Why Don’t You Do Right; Feldman and Fitzgerald, arranged by Chick Webb: A Tisket A Tasket; Berlin, arranged by Frank De Vol: Cheek To Cheek; Gordon Goodwin: Backrow Politics; Don Ellis, arranged by Ron Davis: French Connection; Ellington, Kuller, Webster, arranged by Riddle: Jump For Joy; Zequinha de Abreu, arranged by Holman and Gibb: Tico Tico; Terry Gibbs, arranged Med Flory: The Claw; Gilbert, Sauter and Wilder: All The Cats Join In; Gershwin: Zugabe – I Got Rhythm, and others. The band was formed in October 2016 in Linz, Austria, as part of a course at the Institute for Jazz and Improvised Music. After a successful South African tour in February 2018 and numerous performances across Austria, the band released their first CD in November 2018. “More than ever we all need to understand and respect one another’s culture in order to promote peace and harmony on our planet,” explained Radovan. “Through their live performances in Africa these young musicians have a chance to apply their musical abilities in an intercultural context, and to build personal and cultural bridges through music. The encounter of young musicians across national borders is the central motivation,” he added. 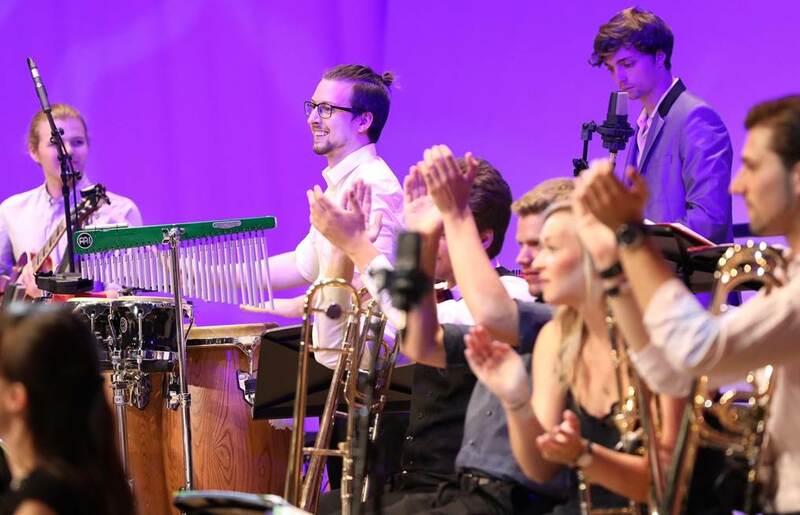 The 2019 South Africa tour with the Bruckner Uni Big Band will be the seventh SA/Austria collaboration project that Radovan will be involved in. Institute for Jazz and Improvised Music.